As sustainability becomes increasingly important, use these facts to explain how cold-formed steel can be part of sustainable building design. For years, construction has been “going green.” New commercial buildings, homes, and renovation projects are often designed with sustainability and low environmental impact in mind. So, it shouldn’t come as a surprise when building owners, architects, and contractors ask about if and how cold-formed steel framing (CFS) can be part of those sustainable designs. Here are five ways to convey the sustainable benefits of CFS and how its use in construction projects can benefit the planet. Strength-to-weight ratio is a relatively easy way of comparing the merits of several different building materials. It’s determined by dividing the maximum imposed load by the weight of the material. According to the Steel Framing Industry Association (SFIA), C-shape CFS studs have the highest strength-to-weight ratio of any construction material. When CFS framing sheet is formed into a C-shaped stud, the bends act as stiffeners and dramatically increase the strength of the steel. In addition, CFS is dimensionally stable. It will not warp, split, or crack. It’s durable and will last for hundreds of years when properly installed and insulated, and is less likely to need to be repaired or replaced. 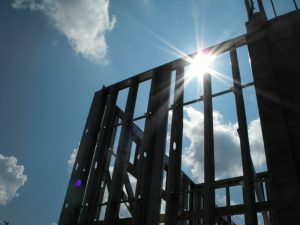 Altogether, this offers an important benefit: “You can use less material, because cold-formed steel framing is so strong,” said Maribeth Rizzuto, Director of Education and Sustainable Construction for the Steel Framing Alliance and Managing Director of the Cold-Formed Steel Engineers Institute. While some may refer to their local landfills as “Mount Trashmore,” CFS scrap should never be included in those heaps of trash. Every year, more than 65 million tons of steel are recycled, according to the American Iron and Steel Institute. CFS framing contains a minimum of 25 percent recycled steel and is continually and completely recyclable. In other words, instead of going to a landfill, CFS should be sold as scrap to be recycled into more steel products, whether it’s a car, can, or another building. That allows contractors and framing subcontractors to generate extra revenue on their projects — or even pass along the savings to building owner. As the life of a building progresses, tenants tend to change. When they do, wall partitions may need to be altered and repositioned to accommodate the new tenant’s design demands. Fortunately, CFS studs and track can be unscrewed from the subfloors and moved to where they’re needed. In addition, because CFS is resistant to moisture, doesn’t corrode, and can’t serve as food for termites, there’s less chance of damage to CFS members when they need to be moved or repositioned. In short, CFS interior framing can generally be reused, rather than replaced when changes are needed. And since CFS is non-combustible, it will not increase the fire risk when exposed during building renovations, which may not be true of other building materials. 5 Ways to Sell the Sustainable Benefits of Cold-Formed Steel FramingCFS meets the highest sustainability requirements set in all major green building standards and rating programs, including Leadership in Energy and Environmental Design (LEED) National Green Building Standard (ICC-700) for residential buildings, ASHRAE Standard 189.1 for commercial construction, the International Green Construction Code (IgCC), and the U.S. Green Building Council’s LEED® program. “The good part about cold-formed steel is that it can lead to points for achieving green building levels of sustainability such as LEED v4 credits,” said Rizzuto, who is LEED AP–BD+C certified. Certainly, the green building rating systems and codes are complex, and a single material doesn’t automatically qualify for points under any of the credits. However, because CFS framing can be reused and recycled, it can contribute to the points required of a high-performance, green building. 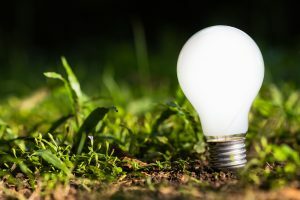 Is energy efficiency important? Well, green construction codes and rating systems “pay a lot of attention to energy efficiency,” Rizzuto says. True energy efficiency involves a building’s entire life cycle. While average building life in the United States is 75 years, Rizzuto says many CFS-framed buildings will be around for much longer. But even on a product level, CFS systems can help a building reduce its energy footprint. For example, wall panel systems with built-in thermal breaks can create an energy-efficient building that can provide savings in heating and cooling costs. So, emphasize CFS’s energy efficiency — along with the other points above — when you want to explain why switching a project’s structural design to CFS framing will benefit the environment. Need help making your lowering your project’s impact on the environment? Contact us for project assistance.